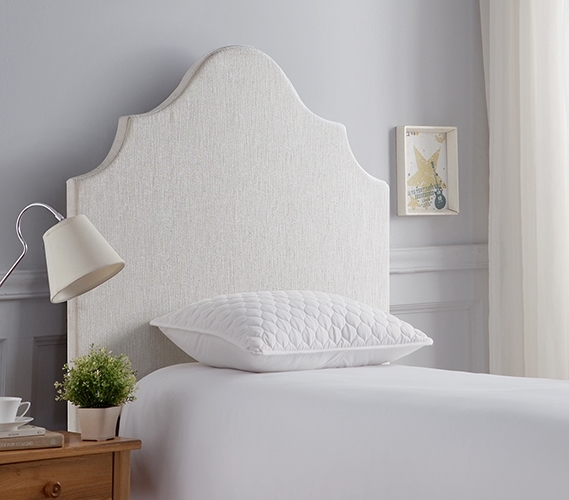 Our DIY Headboard - Beveled Double Curve will give you truly elegant Twin XL bedding. This incredibly stylish extra long Twin size bed headboard is the perfect college accessory to give your dorm room unmatched style. The one of a kind double curved beveled look allows your extra long Twin sized bed to make a huge statement in your dorm room! The white fabric of this college bedding essential will easily match with your dorm comforter and your college decor. And if you want to switch up the look of this unique dorm room headboard, just add whatever fabric you want to compliment your Twin XL bedding! This one-of-a-kind college headboard is made with 2" thick foam so you can have comfortable support if you want to sit up on your Twin XL sized bed. Installing this essential dorm bedding item is also incredibly easy. This extra long Twin headboard is designed to be wedged between your dorm mattress and your Twin XL bed frame. If you dorm bed frame does not exceed the height of your Twin XL mattress you can add on our special dorm room headboard legs for stability. 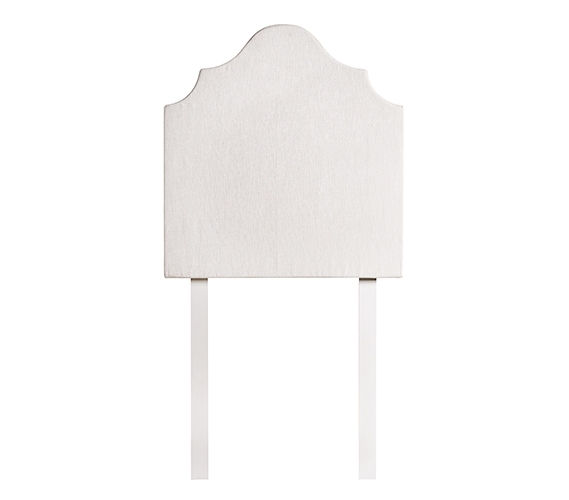 This fashionable and functional college headboard is a must have dorm room essential!